Like any project, including the universal concept, the Neo495 corresponds to the need of the public with disabilities, is fun for a valid public, allowing change the view, creating mixed crews. Sail on the Neo495 is letting his difference on the pontoon, and thus share the same passion. Alain Inzelrac has spent many years researching an ergonomic DESIGN FOR ALL, with comfortable seating, easy access and safe to all. 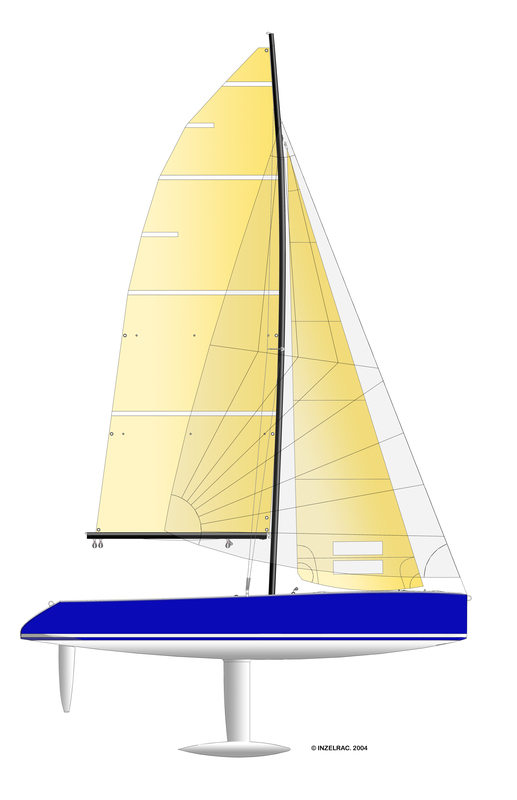 Since 2008, The French Sailing Federation has recognised the “Neo495 Class Association” as a French Class Association based on the ISAF rules. With the NEO 495, no matter what level or age, you can easily obtain the greatest feeling of freedom that sailing can provide. The NEO 495 combines passion, technology, and enjoyment all in one. Comfortably seated in the cockpit alongside your teammate…. In front of you- the control panel. the two teammates are seated side by side allowing for easy communication, and the control panel is configured in 3D for the blind. The NEO 495 respects the CEE Norms, category C of navigation, as well as the Handicat norm. This boat is the result of critical research and development on ergonomic design, in order to make boarding and use of the NEO 495 simple, comfortable and safe.